Kanger Variable Voltage 1300mAh EVOD battery, 3.2v to 4.8v, eGo/510 thread. 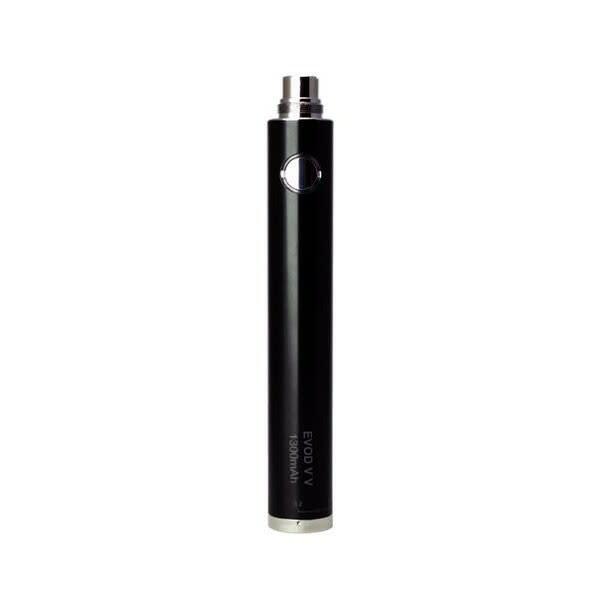 This Kangertech Variable Voltage battery is a great deal, providing you at an afforadable price a variable voltage function controlled by a dial that goes from 3.2v to 4.8v, producing more vapor as you up the voltage, and a long lasting battery capacity of 1300 mAh, worth approx. 2.5 packs of cigarettes for most users. Kangertech continues to innovate and offer some of the highest quality products on the market. This battery will be compatible with clearomizers/tanks that utilize either eGo or 510 threading. I like them because the variable voltage is really simple, and they seem to be pretty durable too. Also last forever and it was cheaper at 180 Smoke than anywhere else I looked at.